I’m 90% sure this image is Buffalo Beach in Western Australia. The sand is gorgeous. The beach just goes and goes. And, it’s a hot spot for folks looking to catch their dinner from the Indian Ocean. Flathead and salmon are two local varieties that might turn up on the end of someone’s line. Just watching these people fish, I didn’t quite get how it worked. Fishing into crashing waves seems like it wouldn’t really work. I would expect my line to keep getting tossed back at me, especially looking at how far back these guys are standing from the water. There’s good reason to stand back though. You can see how high the waves come up by looking just in front of the gent in the foreground. He’s just beyond the reach of the high waves. If you’re like us and you turn up to Buffalo Beach without fishing gear and you’re thinking this surf looks a little rough for your 3-year-old (as she was at the time) the next best activity is chasing waves down to the water and then running and screaming up the beach trying to avoid getting caught by the next big one coming in. When you successfully reach the dry sand untouched by the big wave, you look at each other gravely and say “that was a Big One” while thinking to yourselves that you’re glad we didn’t lose anyone that time. Then, you do it all over again. …lots of stops. At least, that’s what works for us. It’s all about give and take. We sit them in a car and hope they’ll understand that the four hours of driving will be worth it and we agree to stop if they spot a particularly good-looking playground. 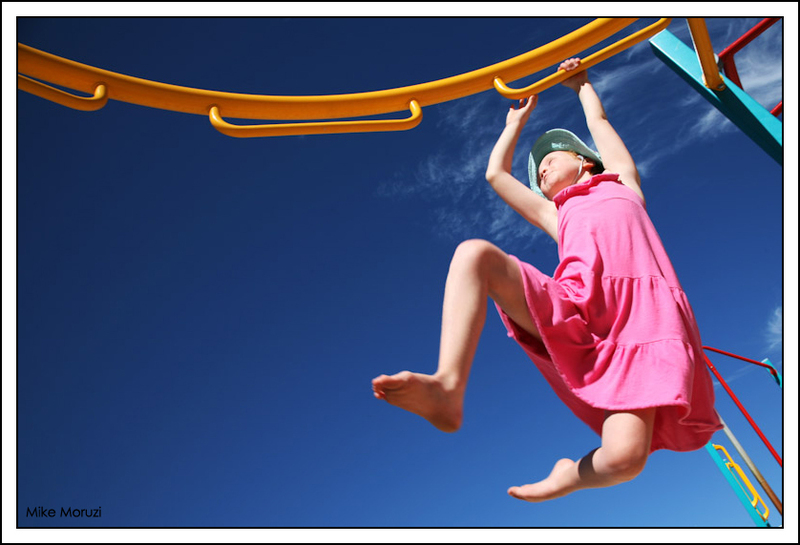 Of course, when you’re a kid, almost every playground looks good. Let’s face it though, I like the stops too. Good to get out of the car and get a breather. This image is from the shoreline of the Leschenault Inlet just north of Bunbury, Western Australia about two hours south of Perth. Stromatolites are the oldest known fossils, originating over 3 billion years ago. 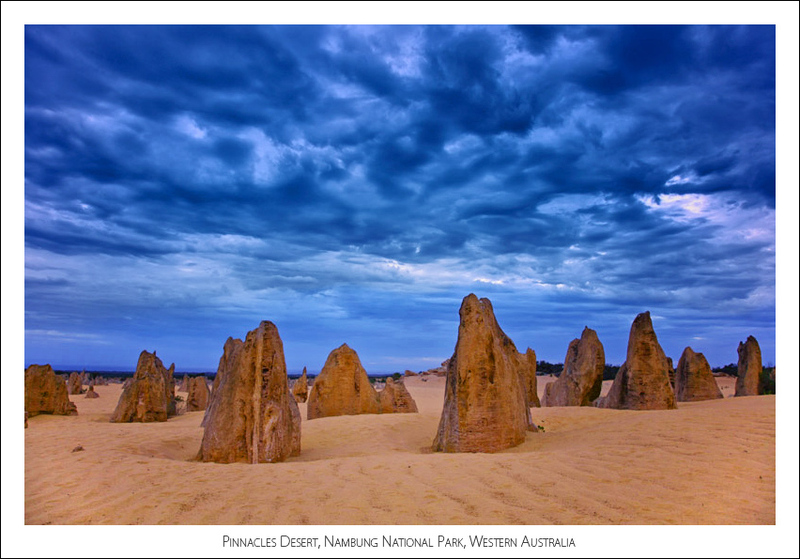 There are a few spots in Western Australia where you can see these so-called “living fossils”. They’re called living fossils because as a very early form of life on earth, they are very uncommon now. One of the few places they’re found is Western Australia. Some of the best examples are in Hamelin Pool in Shark Bay. We planned our trip a bit late and the whole area around Shark Bay was booked when we wanted to go so we didn’t see those ones. The ones shown above are from Lake Thetis, a salt lake near Cervantes. While the existence of stromatolites has been dated back 3 billion years, the structures in Lake Thetis have been dated back a mere 3,500 years. While they’re not the most active of wildlife you’d ever see in Australia, they’re still pretty darn cool. 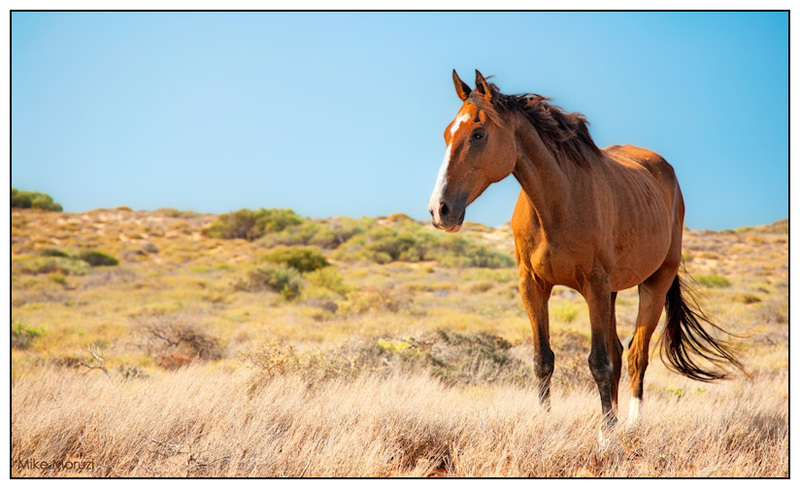 Found this friendly horse walking near the road in Cape Range National Park in Western Australia a few years back. This horse and others had been released into the park by owners who presumably couldn’t or didn’t want to care for them anymore. I don’t know much about horses, but judging by the ribs on this one, it doesn’t look terribly well fed. We had spent Christmas in Perth and after some travels to the south, headed further north to stay in Exmouth. There’s not much in Exmouth, aside from the emus that walk slowly around the town and seem particularly fond of standing in the middle of the main road looking at cars trying to get through. The town serves as a great spot from which to see the national park and to explore the string of beaches that run down the western edge of the park. 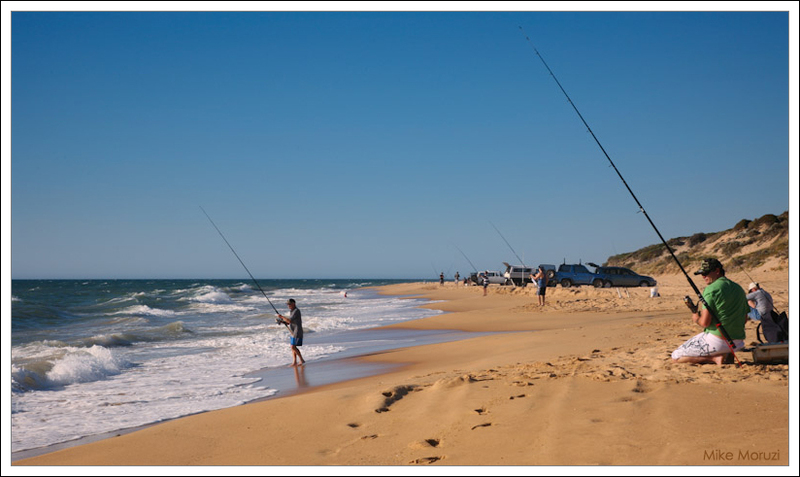 Due to its remoteness (Exmouth is 1270km north of Perth), the beaches are very quiet. In fact, we often found ourselves having the beach entirely to ourselves. An interesting feature of the park is that the Ningaloo Reef runs along the coastline. It’s so close that you can just grab your snorkel, mask and fins and swim right out to the reef from the beach without ever venturing into deep waters or strong currents. We chose to fly to Exmouth from Perth, which turned out to be a bit pricey given the remote locale. Not sure there would be a next time, but if there is, we might instead choose make the 15 hour drive. This picture shows the kind of weather that I prefer. Warm. In fact, very warm. Mid to high 30s celsius (95-100F). I don’t even mind so much when it touches into the low 40s (104F+). Never really thought I was a hot weather guy, but over the past 15 months in Central Alberta I’ve learned that I’m apparently not a cold weather guy. That’s a shame considering winter manages to run nearly six months around here. Albertans must be hearty folk! I’m still working on my winter tolerance. I’m sure it’s going to kick in any day now! I should be better at this whole mind-numbingly-cold-weather thing. I grew up in Northern Ontario where -20c was a pretty regular occurrence in the winter months. I should be bred for winter. Perhaps I was, but I spoiled it by gradually migrating to warmer and warmer climates. I’m now much more a man of the tropics or at the very least, the near-tropics. Since the tropics are far, far away, I’m trying to look on the bright side. It shouldn’t be long before we have enough snow that we can head out to the slopes for some downhill skiing! Today’s image is quite similar to my previous post, but the images are separated by half the planet and a few years. 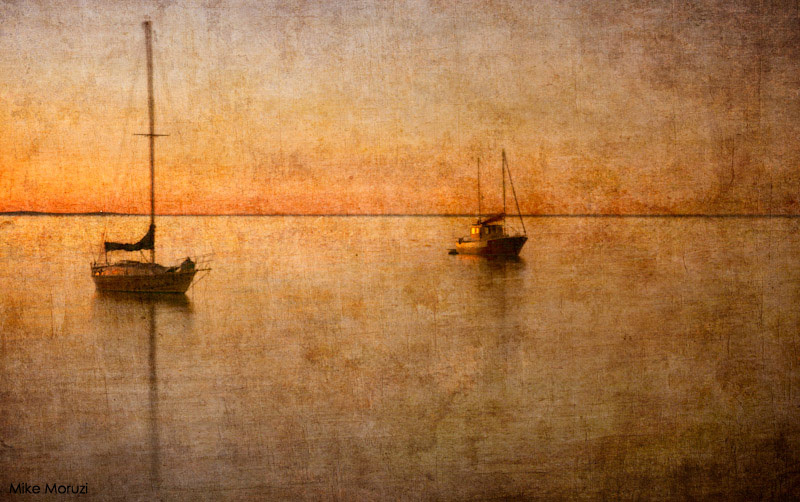 It would seem there is something about boats reflecting in the ocean at sunset that catches my eye. The previous shot was on Canada’s west coast. 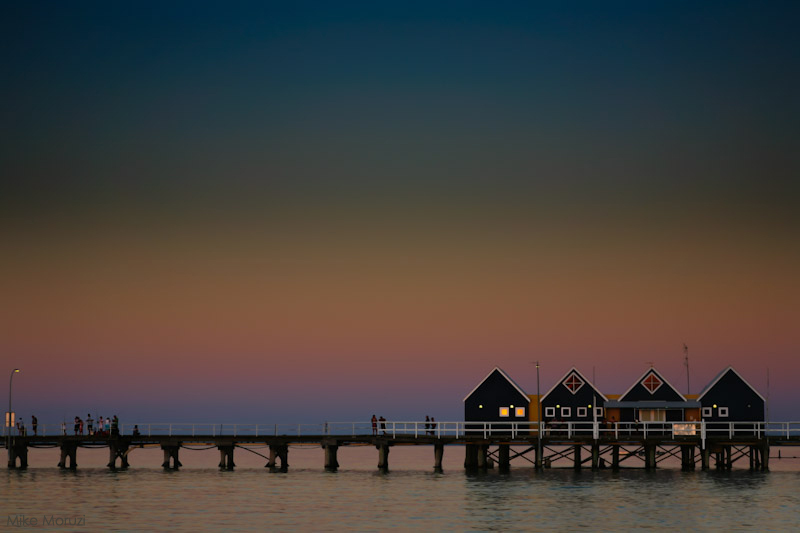 Today’s image is on Australia’s west coast in the town of Busselton, a few hours drive south of Perth. This view is to the southwest. The line of land along the horizon is Cape Naturaliste. This is a 4 second exposure which explains the movement in the mast on the left hand boat. The long exposure smoothed out the already fairly calm waters. At this stage, I was travelling without a tripod, so I believe I balanced the camera on a cement railing post and used the timer to avoid touching the camera. I took this image on December 26, 2007 and it was hot. Really hot. The area around Perth had just experienced its three hottest days around Christmas. For three days in a row it was 45C to 46C (~115F). Hot enough to go in search of shelter in the middle of the day, but just fantastic for mornings and evenings at the beach. That heat is another way this post is a world apart as we slide into winter here in central Alberta. Friday is supposed to be our first day where the high isn’t going to reach 0C. On the bright side, there’s still no snow yet.